The grandson of Martin Guitar founder C. F. Martin, Sr., Frank Henry Martin suddenly found himself in control of the family business at the age of 22 when his father died in 1888 and left him unexpectedly in charge. 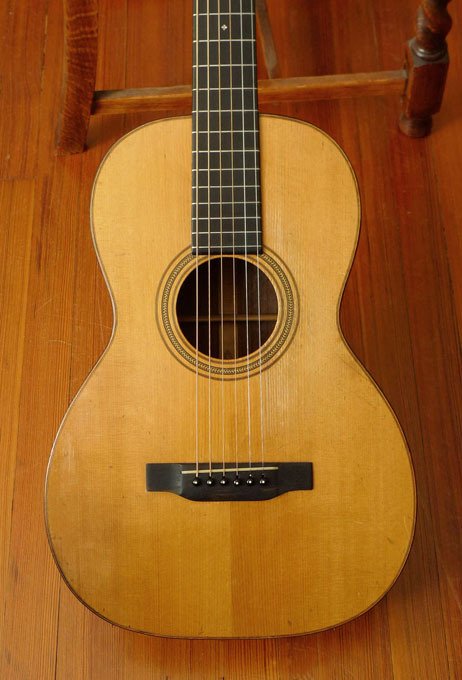 The guitar market was still immature, and the young country was headed into an economic panic in the 1890’s, but the young Frank Henry Martin quickly turned a traditional German business close to bankruptcy into a major force in the world of American music. 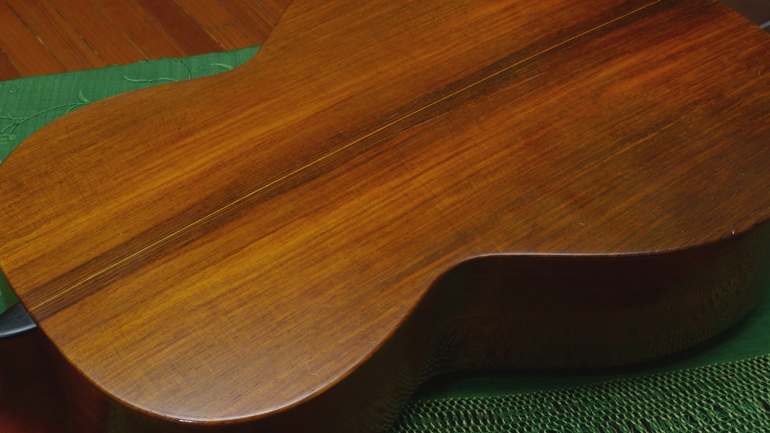 Martin was still using Brazilian Rosewood for the back and sides for their 0-18 model in this 1907, and the tone of this instrument reflects all that is great about the combination of Brazilian back and sides, and Adirondack spruce (top), with a cedar neck, on the perennially great Size 0 Martin 12-fret, in all its Brazilian rosewood permutations through two centuries. 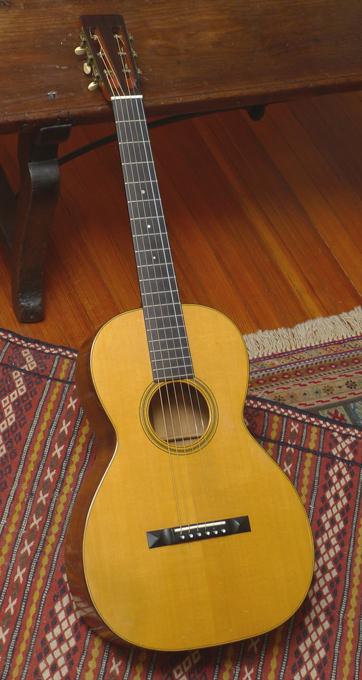 This guitar is in remarkably original condition, and is completely crack-free. Just a few minor dings and superficial scratches. 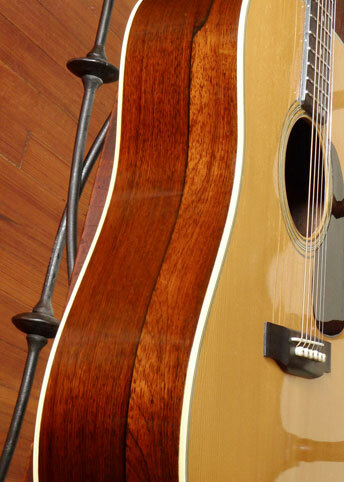 The finish is 100% original, with no touch-ups of any kind. 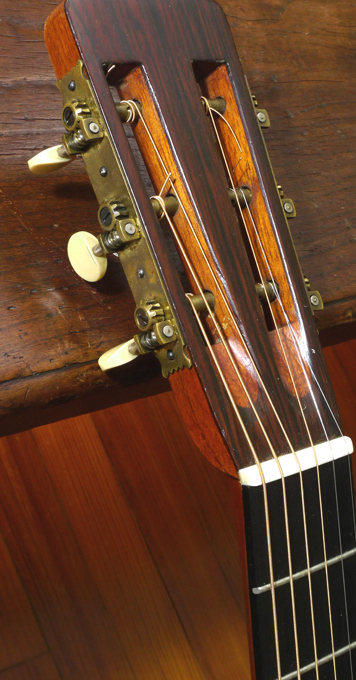 The bar frets were replaced by us with period-correct bar frets–with material obtained from T.J. Thomson. 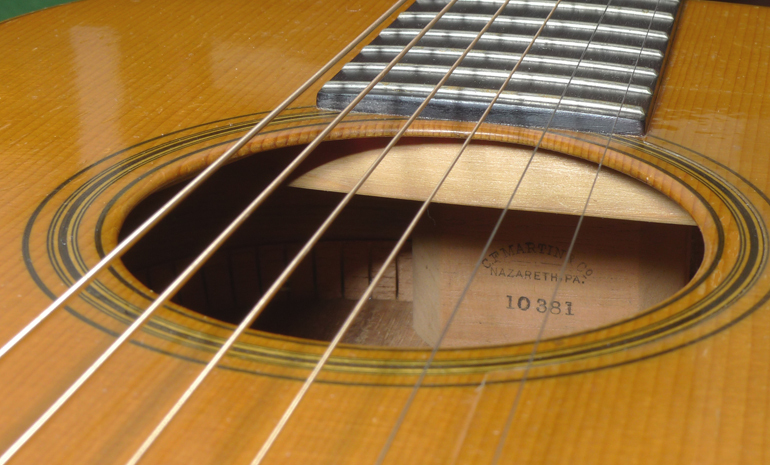 (Several frets were missing, so we decided to replace all the frets.) 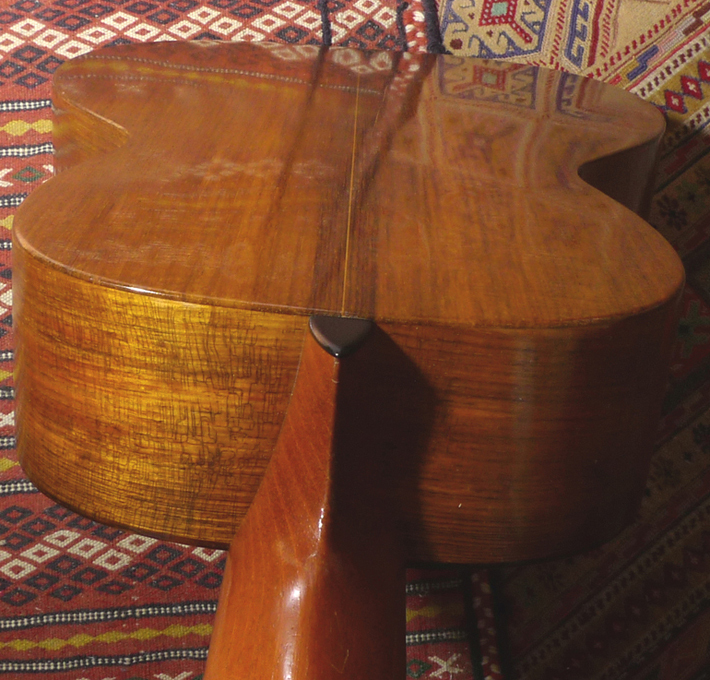 Original ivory saddle, and bridge pins. 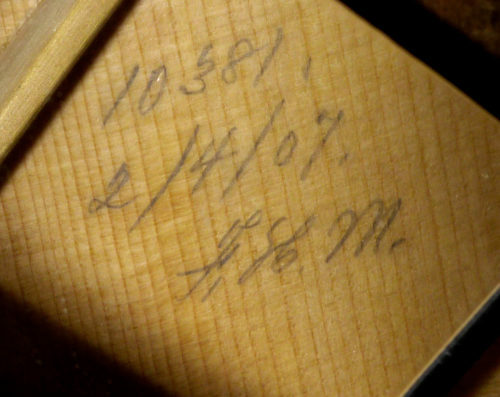 Bridge has never been off the guitar. 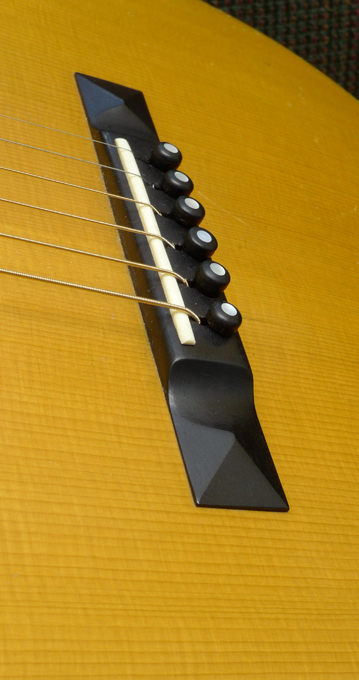 At some time in the past a neck set was done, so action is great, and the neck is straight. 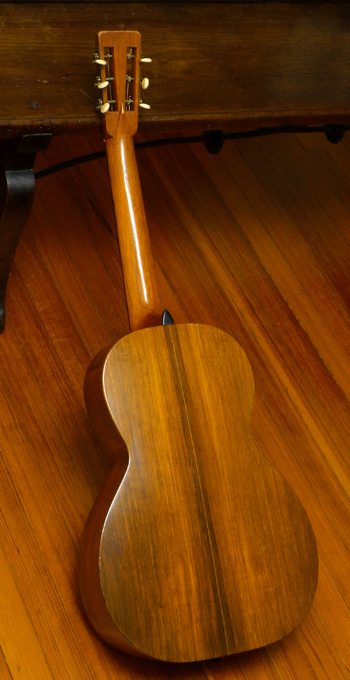 Original ebony nut is in the case. 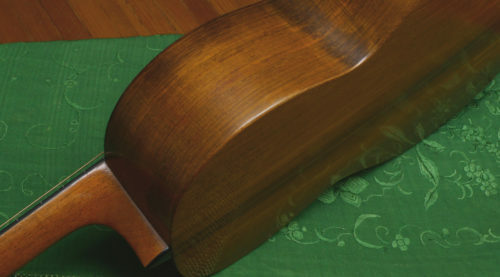 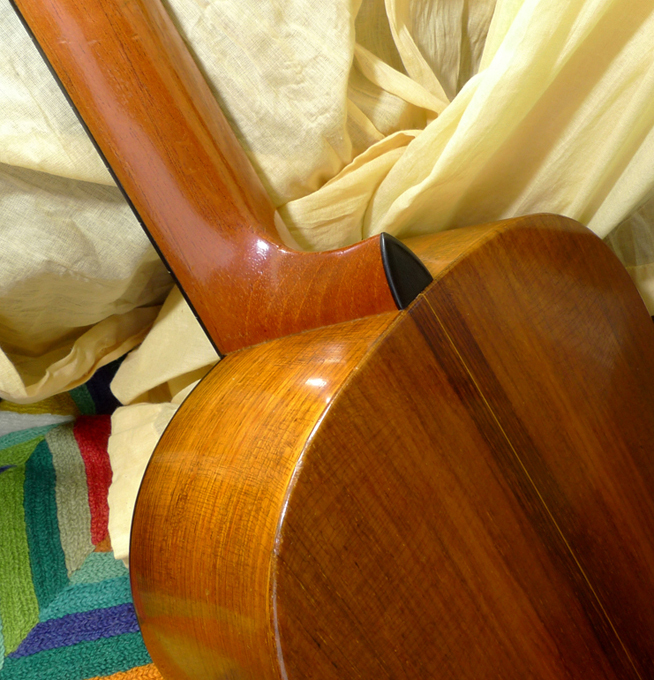 An ivory nut is installed on the guitar to accommodate silk & steel strings–which it does wonderfully. 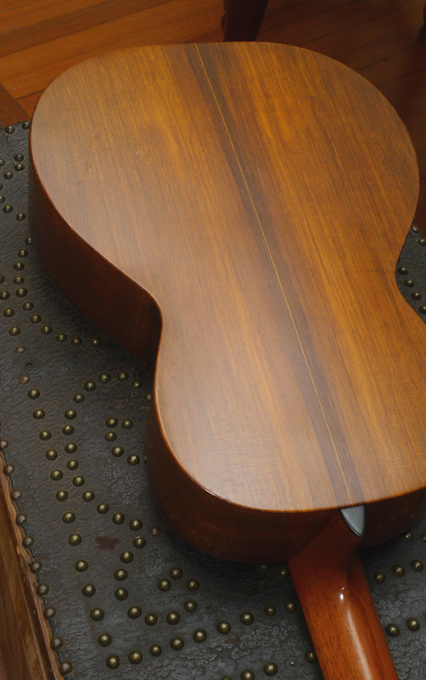 An Adirondack/Brazilian 12-fret 0-sized Martin over a century old yet in this kind of original condition, is very rare.